Wostman Eco Vac is an ultra low flush toilet with a vacuum pump connection. The Eco Vac is chosen over the Eco Flush in two instances. Number one, when application requires the water to go uphill. This means that the tank can be above ground if needs be. The second reason for choosing the Eco Vac over the Eco Flush is to save even more water and to create less waste water. Creating less waste results in longer tank pump out intervals. The unique EcoVac toilet system is like a mix of an airplane toilet and a regular one. 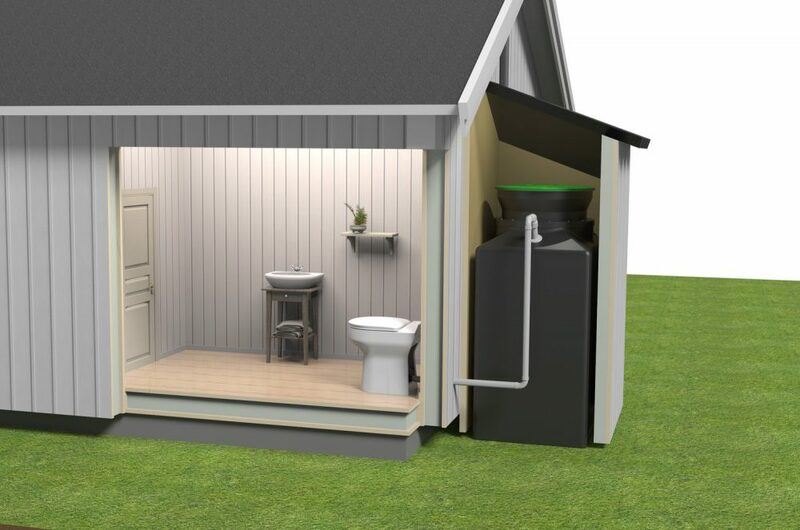 With the patented EcoVac system the waste is transported from the toilet to the container in a couple of seconds. The EcoVac system uses extremely low flush volumes and low electricity. The Eco Vac uses the same amount of energy in 3000 visits as an incineration toilet uses in one. Installation of the Eco Vac ultra low flush toilet must be done by a professional tradesmen. The septic tank should be installed by a professional certified ground works contractor. The pipe work and toilet should be installed by a certified plumber and the electric elements of the toilet need to be installed by a certified electrician. The vacuum base unit will wear out over time, about 4 years, but this can be replaced. The whole system is sensitive to frost and needs to be kept frost free. If the toilet risks being exposed to freezing temperatures, empty the water trap and the solenoid valve. Forbidden objects in the WC are napkins, paper towels, feminine hygiene products, cotton balls etc. Can I install EcoVac on my boat? Can I install EcoVac on a bus or train? EcoVac can be used when there is a power failure? 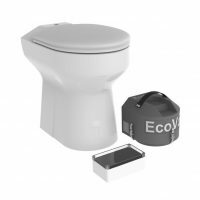 In the case of a power failure (more common in remote areas), you can use your EcoVac toilet by using a bucket to flush the toilet (if the piping has self-fall). This is not possible with macerating toilets as the water can’t pass through the macerator.